Mount Carmel Cemetery has provided a century of service to the Jewish community. Our first interment took place on December 28, 1906. To date we have more than 114,000 interments in Sections 1 through 5 of the cemetery. 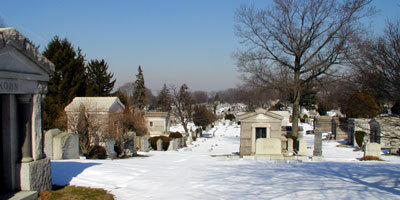 Mount Carmel Cemetery is governed by and acts in accordance with the Not-For-Profit Corporation Laws of the State of New York. When deciding on a final resting place for yourself and your loved ones, we hope you will consider Mount Carmel Cemetery. Choosing an appropriate and dignified location is an important decision that should not be made in haste. Mount Carmel has individual gravesites and family plots available for purchase. You are welcome to contact our marketing director at 718-366-5900 to arrange an appointment. The cemetery office and/or gates are closed on some federal and religious holidays. Cemetery Gates Close at 4:00 P.M.
No Entry after 3:45 P.M.